The Defence estate includes some of the most dramatic countryside in the UK and every year large numbers of people enjoy access to it both legally and safely. But not everyone sticks to the rules with some people endangering themselves and the lives of others. 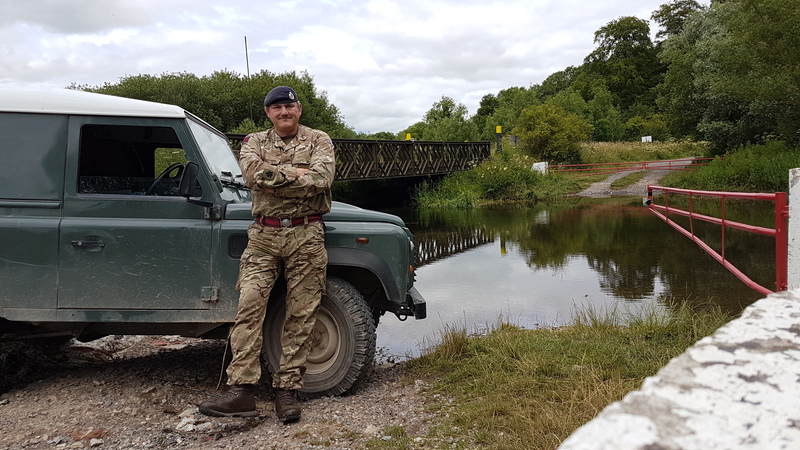 My name is Kevin Morris and after a career in the Army and leaving with the rank of WO1 I now work in the Full Time Reserve Service as a Training Safety Marshal for the Defence Infrastructure Organisation based on Salisbury Plain. As the job title suggests, maintaining the safe use of the training area is at the heart of what I do. 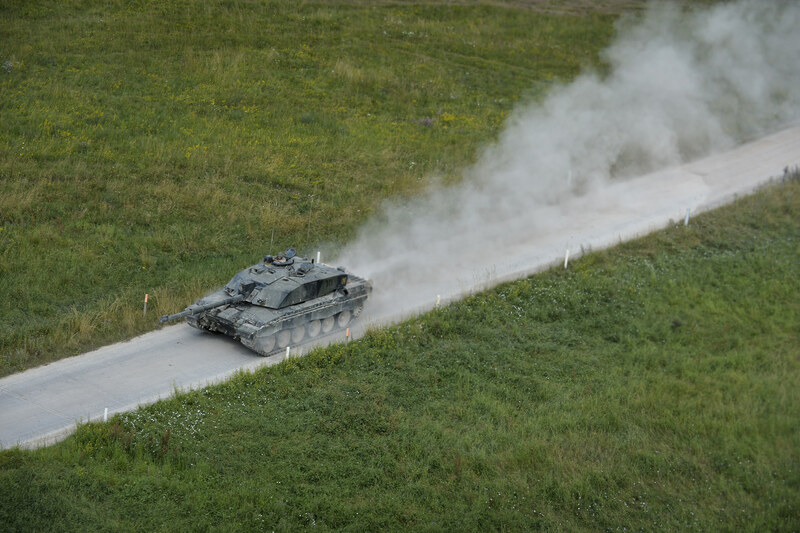 My primary responsibility is obviously the safety of military personnel, but with so much public access to the Salisbury Plain Training area, much of my work involves public safety. I look after around 26,000 acres which includes open countryside, woods, scrubland not to mention land leased to a large number of tenant farmers and all of it is crisscrossed by public roads and other rights of way. Whether it’s a soldier on exercise or someone cycling through the training area my priority is to make sure the activity is done safely. Sadly while the vast majority of people do obey the by-laws, some people completely disregard the warning signs, the rules and seemingly disengage their common sense. One of the biggest problems on all training areas has to be related to illegal off-road driving. including these - obey the law and drive safely and considerately, some do not. Young men in particular see the vast areas of open ground and think it would be a great place to test their skills. Many come from as far afield as Birmingham, Essex, Bristol and Southampton. But all training areas contain hazards; not least soldiers on exercise. Over the years my colleagues and I have had to deal with some shocking situations involving all sorts of rolled and crashed vehicles, some resulting in life changing injuries. One incident that sticks in my mind involved a motorbike rider who suffered multiple injuries including a broken leg after wrecking his bike. While his injuries weren’t immediately life threatening, he could have remained trapped and unable to raise help and the final result could have been very different. 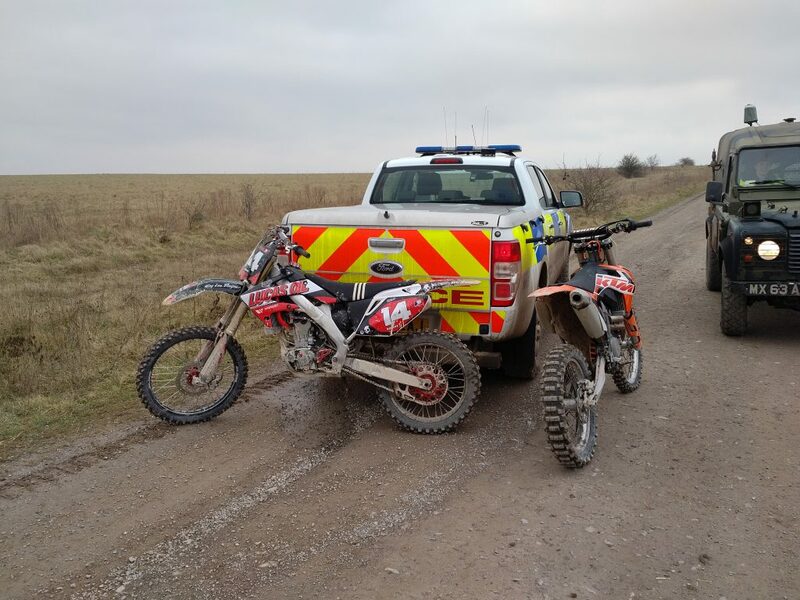 Clamping down on illegal off-roading. Because many of the roads across the training area are empty much of the time, people think it’s safe to speed. They also take risks they’d never chance on standard roads. This speeding is made worse during poor weather conditions. In the autumn and winter besides the problems caused by ice, visibility can be drastically reduced by fog. During the summer months, dust is an issue. Either way suddenly confronting a tank or similar military vehicle can often have only one outcome. Wherever possible we like to talk to people and discuss why it’s important to stick to the speed limit or not to leave the public roads, or stay within the law. However persistent offenders are reported to the police and where necessary we will take action through the courts. While this is a military training area, and its primary use has to come first, there is significant public access which we support and respect. We are happy to allow any recreational activity that is safe and keeps within the by-laws. A good example of this are the large number of amateur photographers who come to see the Plain’s vast array of wildlife. However illegal activities such as hare coursing or fly tipping are never tolerated. To help combat these activities we gather video evidence. I have what’s called an ‘evidence camera’ fitted to my vehicle, which I can also detach and wear as a ‘body camera’. We also use movement activated cameras to gather footage of criminal activity and it’s amazing what people try and get away with. We recently prevented several raves taking place on the training area. In one case we worked with the police who used a camera drone to locate one of these illegal music events being set-up inside an area of woodland. We established road blocks and turned away dozens of cars and hundreds of people, some from Wales. We officially call these incidents ‘incursions’ but you could describe them as trespassing, or illegal access. While some may seem relatively harmless, most are either illegal or in some way dangerous and could result in serious injury or death. It’s my job, like that of all Training Safety Marshals on the Defence estate, to make sure that doesn’t happen. Why are horses using Salisbury plain allowed to break the bylaws requiring them to stick to made tracks instead they are riding on footpaths, ancient monuments, field margins etc using the area as if it was their own private gallops, destroying many rare plants and bullying other users out of their way and placing many pedestrians at great risk. Many claim to have military approval from commanding officer or landmarc to do what they want and are often rude and oblivious to their responsabilities not to cause a nuisance to other users or stick to the designated tracks. I have seen many patrol vehicles drive past horses breaking the law, and do nothing so if motorbikes are being prevented from endangering others why not horses too? Lone horse riders are not permitted to ride off a bridalway or public right of way, except where the public right of way is a stone track or tarmac road, where they must stay parallel within 15 yards of the track or road. There are however licensed horse riding events that are permitted to traverse the Training Area, but they are not permitted to ride on archaeological or tenant farm land. If they see this type of activity happening, please call Plainwatch on 01980 674700 or if you think it is a criminal activity (eg. damaging archaeology) call the police on 101 or 999.
" ride on horse, bicycle or tricycle or ride, drive or propel a vehicle of any kind otherwise than on the carriageway or a road suitably constructed and made up for general use by vehicular traffic. " If the dio is allowing horses to use 15 yards either side of a road this does not match the bylaws and it means the a 30 yard wide damaged area will be created along these routes destroying any attempts by the farming community to encourage ecological management of these margins. Current subsidies require margins not to be used as access routes especially if planted for birds or pollinators so some clarification on these contradictions would be appreciated. Could you also clarify what groups have been given special dispensation to ignore the bylaws, where are they allowed to go and what rules apply to their expanded rights to use and damage these protected public lands? For instance where are they allowed to gallop and who pays to insures the public should anything go wrong? Before we answer the detail of your question, there are a couple of points we’d like to address. Firstly, groups /organisations /charities are not given dispensation to ignore the byelaws; some groups may be given a licence to undertake activities at a cost and following a successful application. Licences detail limitations and they do not exempt licence holders from the byelaws per se. However, the licence will grant permission for specific activities during the period that the licence is valid. Horse riders are not permitted to ride off public rights of way or permissive paths. Casual use licences which are for one off events such as fun rides, are issued to the user group once they have submitted a proposal to Landmarc – the Ministry of Defence’s industry partner providing land management services on the UK training estate. Internal consultation is carried out with DIO staff (including teams of ecologists, archaeologists, foresters and access staff), land agents and the military, all which provide comment on the feasibility of any event. The potential impact of these events on the land, military training and other licensed users of each event – along with the cumulative effect – is assessed before the licence is issued. For each event a designated route is allocated with any conditions as necessary, a licence fee is paid and Landmarc monitor the event. The event holder has to have public liability insurance. 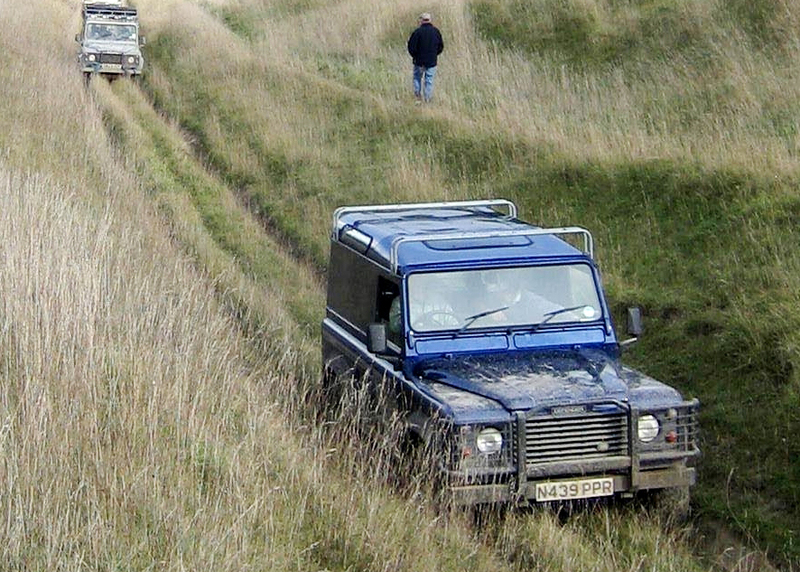 Other groups such as farmers have leases or licences for more permanent use on Salisbury Plain Training Area. In addition there are a handful of equestrian leases and licences such as the racecourse lease and licences for areas of gallops. Before any new licences or leases are granted an assessment of the impact of the proposed use is carried out by the subject matter experts and military as for casual use of the estate. These agreements are monitored for breaches by Landmarc. Many of these agreements are historic but the impact is still reviewed. The tenants / licensees are required to hold a minimum level of public liability insurance in line with MOD policy. The agreement will specify the area they are permitted to operate and any licence conditions such as the number of uses and hours of operation. Thank you for this very informative update but it still doesn’t fully clarify the issue. I would like to know where horses are allowed to go so I can avoid these areas as my dog is hard of hearing and unable to avoid their rapid approach. I currently walk in areas without bridal paths yet every day horses are present and often galloping so where can I safely go? I don’t want both myself and other considerate users of the area to have to constantly guess where is safe to go and what risk they are placing themselves in by entering areas with hidden additional usage rights, and I don’t understand how withholding these details improves safety for all, especially where gallops are involved. If you could provide a map of the areas allowed use for gallops and special events/ licenses, it would ensure better safety for all I assume otherwise people will not be able to avoid danger to themselves and others. Can you clarify the position regarding hunts exercising hounds on the SPTA. I am aware that the RA hunt use the training area to exercise their hounds during the summer months and I am aware that they hold a licence to trail-hunt between September and April. What is the position regarding them not collecting dog mess left whilst carrying out these activities. There are various reasons why this should be dealt with including the danger of transmission of parasitic infections to farm animals sharing the SPTA. Can you clarify what action I should take should I witness this in the future. Sorry for the delay in responding and thank you for your comment. In this instance please report to Plainwatch, either by phone on 01980 674700 or email PLAINWATCH@landmarc.mod.uk. Hi. I am interested to know about the status of Training Safety Marshals. I presume they are members of the military as they wear uniforms but they drive civilian vehicles - this is confusing. Also what powers do they have over and above a member of the public? Hi Pete, thanks for reading. Training Safety Marshals (TSM) are Regular Army, Full Time Reserve Service personnel or civil servants. They drive 'military' White Fleet vehicles displaying a 'RANGE CONTROL' sign which is in white writing on a red background. TSMs are empowered to issue bylaws offence explanations and 'warning off' notices to individuals, to record details of individuals or vehicles – to pass on to the local council or police - to request that individuals abide by the military bye laws and local byelaws and request individuals move out of any Range Danger Area. i.e. anywhere where red flags are flying. TSMs are not empowered to forcibly remove individuals, but if individuals fail to move on to a byway or out of a Range Danger Area when asked they can call the Ministry of Defence Police or local police.